The All-Road v4 is Pearl Izumi’s answer to the jack-of-trades mountain biking shoe. The All-Road v4 is Pearl Izumi's answer to the jack-of-trades mountain biking shoe from indoor cycling to "fire trails" and "dirt riding." We were curious how these popular and affordable shoes would stack up. We like them. Light, comfortable, and stiff, these shoes are well suited for long XC rides, short backyard laps, gravel grinders, and some gravity inspired riding. Still, they only offer minimal protection from rock strikes compared to a beefier, more enduro inspired shoe like the Specialized 2FO Cliplite Lace. At under $100 we were particularly pleased with the weight savings and stiffness of the nylon composite soles, earning this shoe our Best Buy award for women's clipless shoes. Though they aren't as light or as stiff as the Giro Empire VR90, they offered a similar minimalistic feel in a much more wallet-friendly package. Pearl Izumi touts this shoe as a great shoe for indoor cycling, and while we didn't test these in a spin class, we can see how they'd be a comfortable option. We found the All-Road v4 to be a solid all-around trail shoe in a very affordable package. 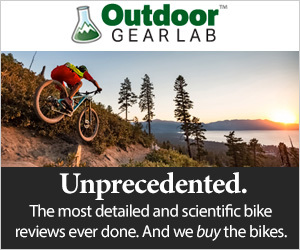 It's a great choice for a newer rider looking to get into clipless pedals who hasn't settled into a specific niche of trail riding. This shoe is light, comfortable, and performs well in most casual riding situations in a no-frills and budget-friendly package. We tested this shoe with both no platform pedals (Shimano M530s) and small platform pedals (Shimano M540s), and we found that soles made positive contact with small platform pedals, which some riders may not like. We don't think these shoes would be very compatible with full platform clipless pedals. The All-Road v4 is reasonably priced, light, comfortable and appropriate cross country and moderate trail rides. We were impressed at the stiff power transfer in the All-Road v4's nylon composite plate. The shoes flex just enough to facilitate walking, but we didn't notice any loss of energy in our pedal strokes. They're not quite as stiff as the Giro Empire, but we think the All-Road v4 provides plenty of support for most recreational riding but perhaps not stiff enough for XC racers. However, we think most aggressive riders will be looking for something lighter and with a bit more protection such as the Giro Empire. The Velcro closures featured a strap that wasn’t long enough to fasten securely our we found that we had to refasten them every time we stopped. The All-Road v4 scored well in comfort and breathability. These shoes feature minimal padding throughout, which does not offer much protection but adds to a lightweight and minimal feel. They didn't beat out the competition in this metric, but they held their own. The All-Road v4 features adequate arch support, and the uppers conform to your feet after the first few rides. The synthetic uppers also breathed surprisingly well. Strategically placed mesh panels help increase airflow around the toe box. These shoes feature a wide velcro strap over the midfoot closest to the ankle. We weren't a fan. The strap wasn't long enough to fasten securely, and we found that we had to refasten it every time we stopped. Not only was this annoying, but it made it hard to keep a tight, secure fit. Luckily, the shoes are fairly snug out of the box, so they stayed in place even without the velcro strap. The All-Road v4 features a fully lugged rubber outsole which provides solid traction in most hike-a-bike situations from dusty trails to rocky sections. The All-Road v4 features a fully lugged rubber outsole, providing solid traction in most hike-a-bike situations from dusty trails to rocky sections. They lacked a bit of bite in the sloppiest, muddiest portions of the trail though and tended to pick up debris when the trails were wet. Luckily they were fairly easy to clean. These shoes are comfortable to walk in and have a slight bit of flex behind the toe box, making it easier to push through long hiking sections. After miles of testing on a variety of trails, these shoes show very little signs of wear. The rubber uppers are scuff proof and look almost like they did when they were fresh out of the box. The uppers have several small mesh panels, which are prone to snagging. Still, their integrity was uncompromised. While we didn't have any issues during our two month testing period, we question the durability of the velcro closures. We found that we had to fasten them and refasten them several times each ride making them prone to wear and tear. The rubber outsoles are very durable, showing no signs of wear. They provide full coverage which protects the nylon composite midsole. The All-Road v4 is one of the lightest shoes we tested. Pearl Izumi's claimed weight is 311g for a size 40. Our test pair was on par with that weight, coming in at 292g for our size 38. We appreciated the lightweight, minimalist feel of this shoe, and we feel that no durability or support was lost to weight savings. The All-Road v4 is a great all-around shoe for gravel grinders, cyclocross, commuting, and mellower XC and trail riding. Enduro riders will likely want a shoe that offers more protection, and XC racers working to reach their next PR might want something a bit stiffer. But those seeking a comfortable, durable, and versatile trail shoe at an affordable price will not be disappointed by this shoe. We'd recommend this shoe to newer riders looking to get into clipless riding because it is comfortable and offers solid support in a durable and affordable package. At $90 the All-Road v4 was the least expensive shoe we tested and they maintain a high level of durability, power, and comfort. While this is a no-frills shoe, with no accessories or added features, we feel that it competently suits the needs of most recreational riders. The versatility of quality of this shoe earned it our Best Buy award. The All-Road v4 is a great all-around shoe at an unbeatable price. We'd recommend this shoe to newer riders looking to get into clipless riding. It is comfortable and offers solid support in a durable and affordable package. More experienced and aggressive riders are likely to be more willing to spend more money on a shoe with more discipline-specific features, but for someone who is looking for a great all-around shoe, the All-Road v4 hits the mark. MooseJaw $76.99 - 14% off!